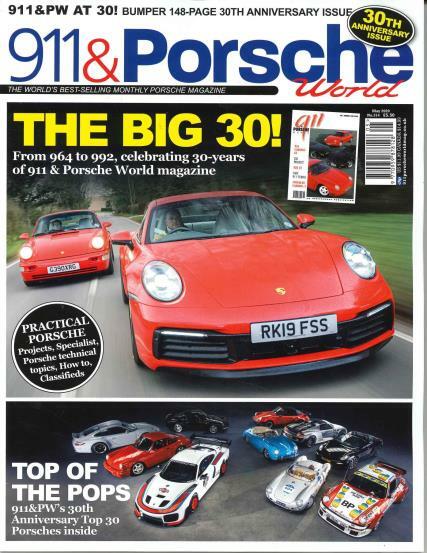 911 & Porsche World magazine is a UK monthly publication devoted to everything to do with Porsches cars. Buy a single copy or subscription to 911 & Porsche World magazine. 911 & Porsche World magazine is over twenty years old and is primarily focused on the 911 series of Porsches, but there is also editorial content on other Porsche models such as the Boxster, Cayman, and Carrera GT, Cayennes, Panameras and racing models. The classic 911 series of Porsche vehicles for which the magazine is titled has now been in production for nearly fifty years. Targeted at Porsche enthusiasts worldwide, the magazine has mechanical and technical information for keeping your Porsche running in top condition. There are also features on individual Porsches, news information, and a buyer’s guide for used Porsches and parts. There is also a classified section to find another Porsche. And there are articles to tell you what to look for when inspect a used Porsche. If you are a Porsche aficionado and either own one or just dream of being an owner of a Porsche, then 911 & Porsche World Magazine is for you. You will find the latest in industry news, reviews of Porsche products, and stories by owners of the classic car.